Take a look at our compilation of videos since 2007. They report about the programs Avanzar runs in the course of every year. Our videos are in Spanish with English subtitles. Videos were made by Hernán Salcedo of Pangea Design, Cuenca/Ecuador. A compilation that shows one of the projects run by FUNDACION AVANZAR in 2017. Feminist Economy, School and Training Courses. A compilation that shows one of the projects run by FUNDACION AVANZAR in 2016. A compilation that shows one of the projects run by FUNDACION AVANZAR in 2015. A compilation that shows one of the projects run by FUNDACION AVANZAR in 2014. 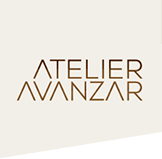 Atelier Avanzar, Feminist Economy and Ludoteca. A compilation that shows the projects supported by FUNDACION AVANZAR in 2012. A compilation that shows the projects run and supported by FUNDACION AVANZAR in 2011. 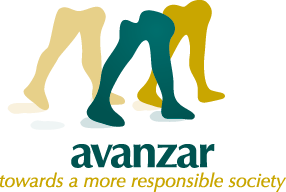 A compilation that shows the projects supported by FUNDACION AVANZAR in 2010. A compilation that shows the projects run and supported by FUNDACION AVANZAR in 2009. A compilation that shows the projects run and supported by FUNDACION AVANZAR in 2008. DAY CARE AND KINDERGARTEN "JOSE HIDALGO"
BAKERY "SAN JOSE DE CALAZANS"
Fundación Avanzar presents the shortfilm "One Day With Luchito". The story of Luis, a handicapped boy that attends the "San José de Calasanz" School.